2019 Fly-in. Date for the 2019 fly in will be Sunday June 2nd Same venue as 2018, Asfordby Football Club, Hoby Rd, Asfordby LE14 3TL On arrival please book in with transmitter control, you will need BMFA insurance if your planning on flying. A or B certificates are not required. 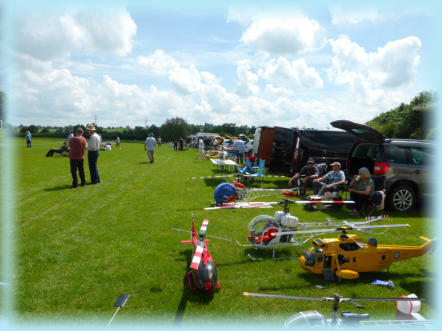 The aim of the fly-in is to promote the hobby of scale model helicopters, it’s a very relaxed atmosphere and pilots of all abilities are welcome. If you just want to hover your model , fly a full scale routine or anything in between you will be made most welcome. There is always plenty of help on hand if you require any assistance with setting up a new model. Hot and cold food and drinks are available during the day, we even have a bar if you feel the need for a wee dram ! 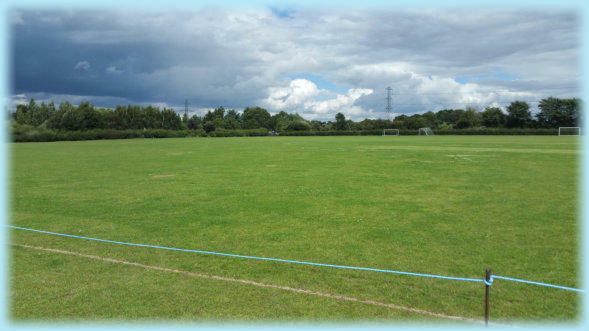 Caravanning and camping can be arrange if you want to stay over on the Saturday and or Sunday night, this must be pre booked, phone or email from the contacts page.